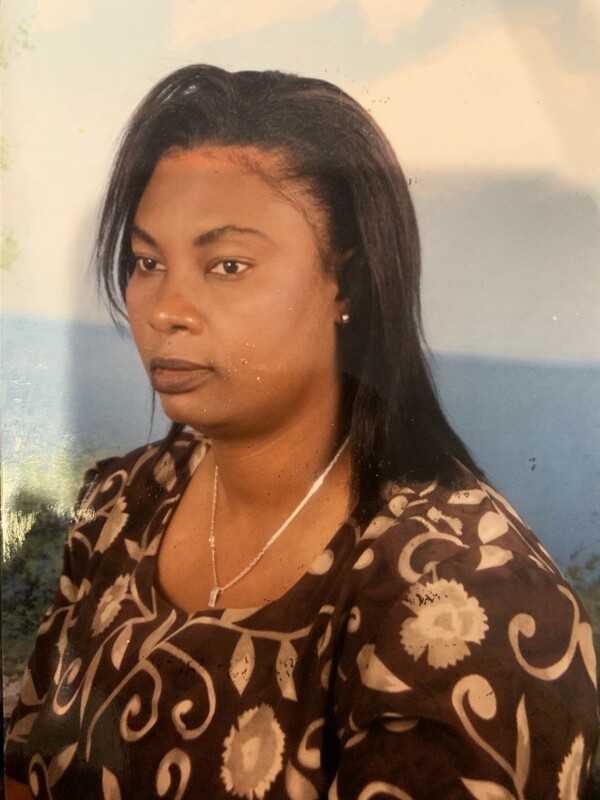 Mrs. Marthe Georges-Solon, age 55, entered eternal rest peacefully on Friday, November 23, 2018 at the Kaplan Family Hospice House in Danvers, after one last Thanksgiving with her cherished family. She was the loving wife of Pierre Solon. Marthe gave cancer a hard fought battle since 2010 with much courage and strength. Born in Les Anglais, Haiti on March 6, 1963, she was a daughter of Audain Georges and Noncilia Saintus. Marthe had a strong faith in God and dedicated her life to her family, her church and helping anyone in need. She also provided home health care for many years, having been a registered nurse. Surviving her in addition to her husband Pierre are her children, Stephan Solon and his wife Valerie of Tyngsborough, Sanders Solon of Pembroke Pines, FL and Stania Solon of Lowell; her grandchild, Alexandra Solon; her brothers and sisters, Raymond, Renee, Gilbert, Dominique, Edith, Angel, Maude, Agnes and Mignone; also several nieces nephews and dear friends. Relatives and friends are invited to attend her Memorial Service on Saturday, Dec. 1, 2018, at 10 a.m. at the Reservoir Church, 15 Notre Dame Avenue, Cambridge, MA 02140. For online condolences or directions, please visit www.tyngsboroughfuneralhome.com.